This was an enjoyable listen and worth the credit in my opinion. The narration is fantastic. Some of the women sexual dialogue would never be spoken by any women I know. Terrorism in Europe has spun out of control. The United States has decided on a dramatic response. Now, the CIA needs a very special kind of operative. Scot Harvath has exactly the skills the CIA is looking for. He's a former U.S. Navy SEAL with extensive experience in espionage. Working for a private intelligence company, he will provide the CIA, and more important, the President, with absolute deniability. 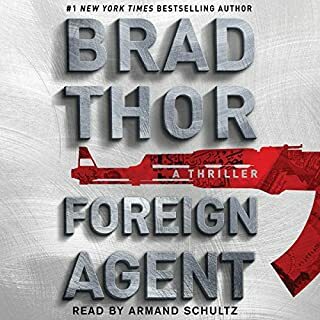 I love this series and Mr. Thor's other books, but this story bored me. I know it is a hero romp and the formula is the same story to story, Bond is always bond right? So I might be tired of the genre. This will be long so I will give my summary in the first paragraph. This is a classic written by a comic book writer and marvelously narrated making the original prose a 3 dimensional reality for the listener. On its own the book is a must read/own but this audio version is also a must have. Are you still with me? Is the book in your library yet? Go get it now and come back. I wish I had a book club that read this because I am bursting to discuss all of the elements of this title. It is a very in-depth look into people, motivations, wants, desires, and more. How could so much be tucked away in this short prose; I have no idea, but it did and will keep me thinking about many of the aspects for some time to come. Reading this story and watching the film as a teenager I was moved, but I missed much of what was within the pages. It must be my age that gave me better understanding now as I understand what it is like to have not, gain much, and have not again. I remembered the story was good but I wanted to go back to it. 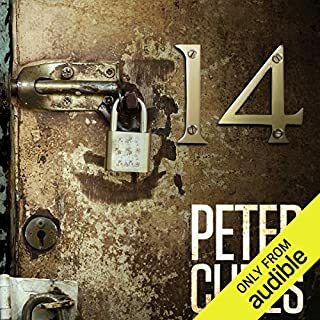 I had an extra credit so I decided to get the book here at audible. A few minutes ago I sat in my work's parking lot riveted to the last chapter. It was impossible for me to go into work until the book was finished because it held me fast and unbidden tears were streaming down my cheeks. You see, I was not simply watching Charlie, I was Charlie. The author and narrator had done the very rare transportation of my soul into a character's reality. The narrator's part in this process is not to be dismissed. Never have I heard all characters in a story, including minor characters with no lines, so absolutely real and recognizable. How Woodman did this I don't know, but I will seek him out again and again. and I will read the author's other works even though I am sure they will be far lesser than this work. 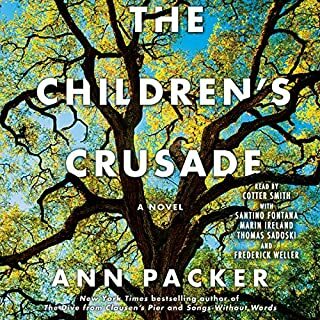 The perfect timing to read this book is with your child in the summer prior to the first year of high school and then at the stage of life where life has been lived and strength and mind starts to falter. Read with your child and discuss the story to open all of its richness as you would do with a bottle of wine at a wine tasting party. It will motivate as you learn that one's intelligence is precious, learning is precious, and nothing completes the person without the heart. You learn that time is precious and you should not waste a moment of it. The last thing I will say here is that most books have endings that let me down. I am very critical of endings. This is not the case here. 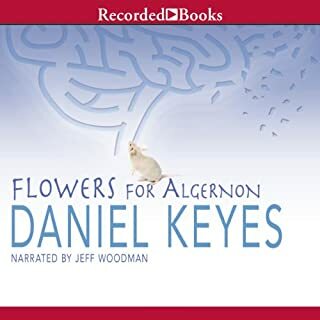 I will bring flowers to Algernon in my mind each day for many days in my mind. The story was fine. The premise was slightly interesting. The characters were boring. That was the problem. The book should have been a short story or novella at best. The story was uniquely told from the protagonist point of view as the pre-problem person, and a changed post problem person. The current time depends on which person is speaking. The post problem person looks back and comments on what has been done or said a few pages before as his old self. There are some interesting things that happen along the way. I found it frustrating that much of the surroundings are left vague. Are their still nations or a world government? Have companies taken over the world while leaving nations alone to handle the lesser people? Bottom line, it was a tedious but interesting YA read. It could have been done much better as a book and would have been great if reduced to a short story. 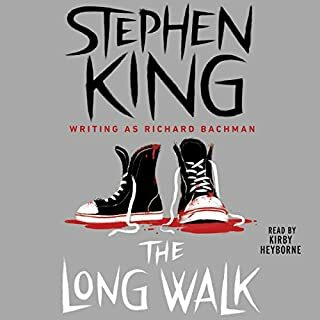 As always King comes through with interesting characters and the characters may well make the book worthwhile for you. I did not mind that I purchased the book, but I would not do so if I had it all to do over again. 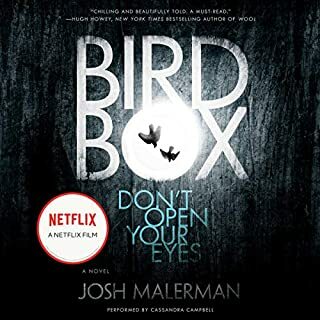 I purchased the book because I like dystopian fiction and this story is dystopian, but it only hints at the dystopia. We are in America in present day, but people are disappeared for hinting at opposition to the status quo and for some reason the long walk occurs every year. I am afraid of adding spoilers so I will leave it at that. The story contains insights into humanity that you find in the Hunger Games and Running Man. It really added nothing new or interesting to these books. I realize that the author left many things unsaid on purpose. We can all wonder why he chose to do this, but in the end I felt it left too many why questions left for the reader at the end of the book. If those questions are not that important I can definitely say that the plot was not enough to hold the book together. I can state that life can be meaningless and that people like looking at car wrecks without the need to build a book. Is the Book Better than the Movies? I have loved the video and stage presentations of a Christmas Carol, but I had never read the book. So I decided this season I would pay a credit and listen. I am very glad that I did. There are so many different versions of A Christmas Carol out there. I compared this listen to my wife's favorite rendition of the story: Scrooge 1970 with Albert Finney. This is a musical and quite delightful. I found there was very little difference between the book and the movie. Some elements are expanded in the movie, and some are only barely touched upon. When you watch Scrooge you are getting a fair retelling of Dickens story. What you won't get by watching A Christmas Carol in play or movie form is the marvelous use of language by Dickens. It is a work of art beyond story. Often poetry lacks the feeling of Dickens' prose. If you love the art of a great wordsmith/poet in prose form I highly recommend reading or listening to this book. 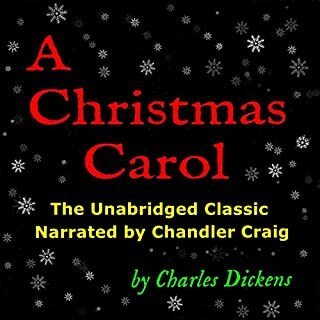 There are also many Christmas Carol audiobooks available on Audible. I have not listened to them and cannot compare this one against them. Chandler Craig did a great job with the narration, and he allowed the spectacular prose of Dickens flow without getting in its way. I consider this a great listen and will be getting a hardback copy of the book as well. Let's start by saying that I don't read detective novels very often and can't compare this work to other detective novels. That said, let's get go to the review. The book started out with a bang and then fell to mediocrity over time. One of King's strengths is his ability to make even small part characters real to the reader. In the first few chapters this book was no different, but over time I saw a lack of character development. In the end King focused on the four main characters in the story and the fourth character is insufficiently developed. The story itself is fairly pedestrian. It is not bad, but it is not a 'must-read'. I found the suspense that I was obviously supposed to feel in different scenes to be completely missing. Finally, the story is not knew or different than TV shows I have watched, and a book should be so very much more. 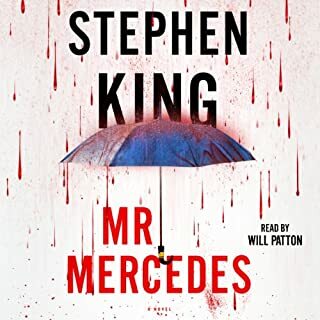 The narration was terrific, and the book is worth a listen just for Will Patton's performance. Most people seem to love this book so please read those reviews to balance out my opinions. 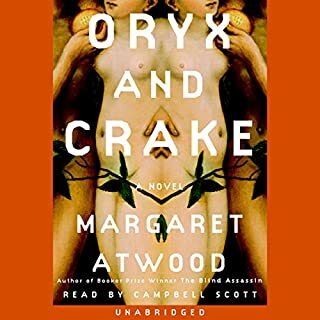 Will I read the second book of the series or recommend this book to others? No I am afraid is the answer. This book started slowly for me, and I found it hard to get into that world. I actually put the 'book' down and did not get back to it until several months had gone by. 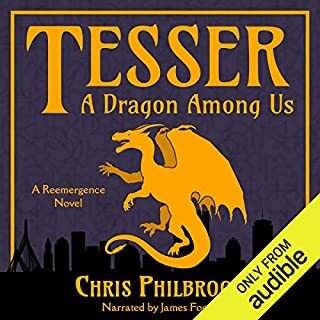 Now that I have finished the book I wish I had not delayed the listening. You find yourself in a great building with a cheap rent and utilities included. This is in LA so this is a great find. Many tenants are living on minimum wage and just getting by, but they are good, and intelligent. A new tenant comes in and the mystery begins. This is a sci-fi mystery story. The characters do not have depth, but they have enough story to make you relate to them and their points of view. Each character is given an obvious key role, and all are interesting in their own way. I would label this as a young adult book not because it wasn't a fun read for this 50 year old but because it was clean. There is a cartoon that is spoken of prominently and in a large way the story fits the analogy very well. If you are looking for a fun book that will motivate your non-reading 13-17 year old child I think this would be a good pick. The book was a fun read. Part of my enjoyment was based on bringing in historical figures and wrapping them together into this plot in a fairly believable fashion. You will not find the meaning to life, or an angst against the world. It is not fluff exactly, but it is simply a good, fun read. Who do I think will enjoy this book? People that love a strange mystery. People that enjoy a story based on lore. People looking for something fun in the way Dr. Who, X Files, and Men in Black are fun. This was a very unique story at least for me. What if you could not look outside, but did not know why? This is the story. The story is fantastic if you participate with the characters and empathize tightly with the characters. If you read the story like you would watch a TV show the book will be tedious. The story is terrifying if lived. It is terrifying because the villain is unknown and necessarily unseen unless of course it is man being evil to man. At times the story was slow. I would not call this a page turner. You have to absorb the environment and that takes time and thought. The narrator does a fine job. I find that female voices are not well suited to doing male voices, but you could tell the voices were male even if you could not always differentiate many male characters by voice alone. The story is told mostly through a female's point of view which made the narrator perfect for the reading. A suspenseful story of survival that does not feature zombies is perfect for a Halloween read or listen.